Hi Students! It is still nearly 7 weeks to go until Halloween and it’s way to early to talk about English expressions about life and death just yet. The idea came up to me as we some times take things far too seriously and everything becomes a matter of life and death. A little dramatic I know! So here I have some English expressions about life and death for you. Over my dead body: Usually used to express our insistence that we are not going to agree to something or allow something to happen whilst we are still living and breathing. From the cradle to the grave: This suggests that we take care of someone or something for a very long time. Usually, the responsibility of parents is to look after their children from the day they are born until they die. A cradle is where a child sleeps in the first few years and a grave, alas, is where we are buried when we die. ex. The bank were advertising for new customers and offered them, mortgages savings accounts for them and their family and life assurance. The advertised that literally they would take care of all your financial affairs from the cradle to the grave. Dead in the water: This expression is used to describe the situation when an idea is not going to work or it is not going to be approved by someone we report to. We can say it is not going to float also. ex. Declan spent several months planning the new launch. He had worked out the budget. He knew what it costs to produce and how many items he would have to sell to make a reasonable profit. He had checked it many times. However, 2 weeks before launch his competitors came out with a similar cheaper model. He was heart broken his plan was dead in the water. Back to the drawing board (back to the beginning). 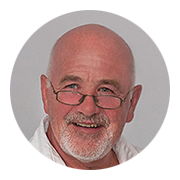 Death warmed up: When people die they usually lose the colour in their face as the blood stops circulating. They also “go” cold for the same reason. This expression is used to describe how some one looks when they are ill (not seriously) but still come to the office to work. Lead a double life: Someone is said to lead a double life when perhaps they have a dark secret that they keep hidden from everybody. ex. Daniel married Kate when he was quite young and they split up a few years later. They never got divorced. Several years ago he married for the 2nd time but this was against the law as he was not divorced. In this situation he could be said to be leading a double life! Shelf Life: This expression refers to the length of time something will last, often used when referring to food but also used when referring to the life of a product once it is released. Sometimes products have a limited shelf life as they are very specific (product launched to celebrate a particular event) or a long shelf life for a product that may never go out of date or need to be replaced (Coca Cola). We can also use it to refer to someone who is getting a little old for getting married and we might jokingly say he/she is past their shelf life. ex. Damien was 45 and single. Then he met the girl of his dreams and fell in love and they got married the following year. He joked with his friends that he thought he was past his shelf life. 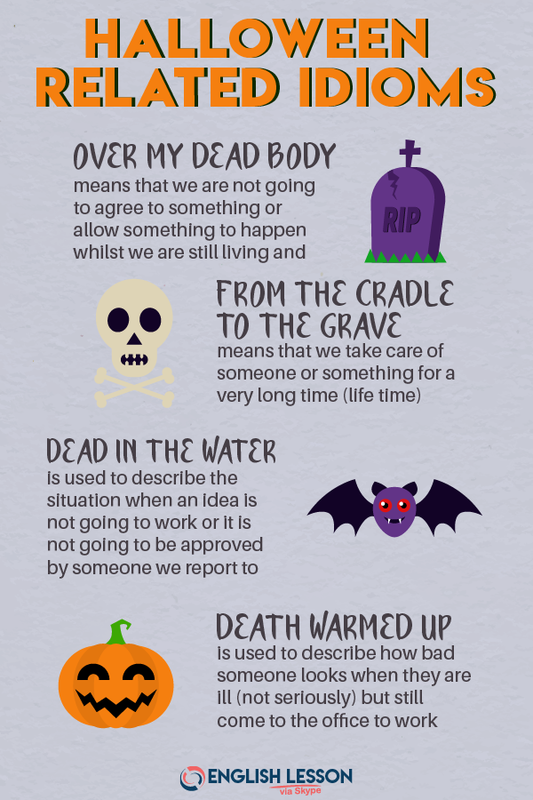 Complete your English expressions about life and death with my English Vocabulary for Halloween. You can also practice English idioms understanding with games here.